There are so many myths and mis-perceptions about dieting and weight loss. 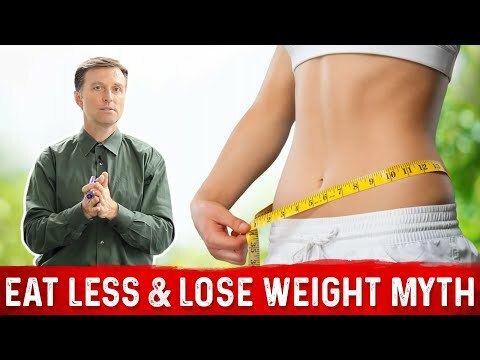 Instead of accepting that consuming a balanced diet in moderation and exercising regularly is the only way to bring about effective weight loss, people persist in looking for the magic bullet when it comes to weight loss. These myths and misconceptions get in the way of long-term weight loss for many people, and it is important to fight the misunderstanding about weight loss that is rampant in today�s society. One popular myth is that consuming ice cream causes weight loss. Proponents of this myth argue that the coldness of ice cream causes your body to burn calories as a side effect of trying to regulate your body temperature while you are eating it. The body does in fact expend energy to digest ice cream, just as it does with any food that you consume. However, there are far more calories in ice cream than your body will ever burn off as a result of digesting it. If you want to eat ice cream, go ahead and eat it, but do so in moderation. But don�t be fooled into thinking that eating ice cream will cause you to lose weight. This myth is similar to the ice cream diet myth. Water has no calories, so it is certainly better than ice cream in terms of the calories consumed versus calories burned ratio. However, very little energy is expended as a result of warming the ice to body temperature. You aren�t going to lose weight just as a result of drinking very cold water. However, water at any temperature is an important aspect of a healthy diet and does contribute to weight loss. Just don�t be fooled into thinking that ice water is the secret to boosting your metabolism. Another common weight loss myth is the idea that adding a pound of muscle will make the body burn an extra 50 calories. No one seems to be able to fill in the blank to this myth. Fifty extra calories over what period of time? Adding muscle does contribute to increased metabolism. Typically, one pound of new muscle will result in burning about 12 calories per hour, depending on the weight and activity level of the subject. Exercise is an important part of every diet program, and it is important to add muscle and reduce fat to promote long term health and wellness. Drinking water and exercising are very beneficial to any weight loss program. Eating ice cream is not so beneficial for weight loss. Don�t fall prey to a diet myth that perpetuates misunderstanding about weight loss. The simple fact is that weight loss occurs as a result of burning off more calories than you consume. The best way to lose weight boils down to one single magic formula - eat less and exercise more.